31-W Insulation proudly offers garage door installation services in Myrtle Beach, South Carolina. With more than 40 years of industry experience and a long track record of excellent work, we are the company you can count on to take care of your garage door needs from start to finish. We offer top-of-the-line products from the trusted brand Amarr® and professional installation services. When you choose 31-W Insulation to install a new garage door on your home, you’ll enjoy a durable and well-designed door that will improve the safety, security, and efficiency of your home. 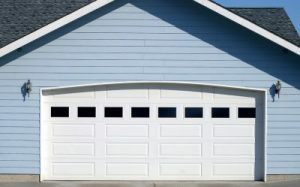 Wind load resistance – Our garage doors are built to withstand strong winds not only to exceed your local building codes, but also so that they’ll stand the test of time. SafeGuard pinch protection – Our doors have specially designed hinges and brackets that help reduce the risk of pinching a finger or hand while the door is in motion. Insulation – With options for double- and triple-layer insulation, you’ll be able to improve the thermal efficiency of your home and create a comfortable environment if your garage is used as a workshop, play room, or other extended living space. At 31-W Insulation, all of our installers are our own full employees who have been factory-trained and -certified to take care of your garage door installation with expert precision and efficiency. Once we’re finished, you’ll be able to enjoy the many benefits of one of our garage doors on your Myrtle Beach, SC, home – benefits that will last for years to come. If you’re ready to get started with our garage door installation services at your Myrtle Beach, SC, home, contact 31-W Insulation today.